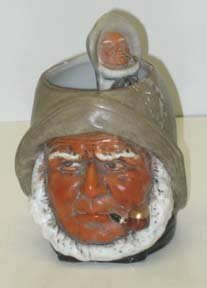 Staffordshire styling of this porcelain shaving mug and matching brush of a sea captain. Marvelous hand painting to each piece. 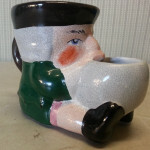 Porcelain handled brush mimics mug. Mug: 4″t x 6 1/2″ handle to outer edge. Brush: 5″L.